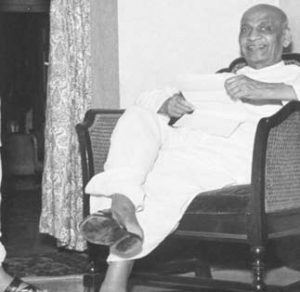 Sardar Vallabhbhai Patel was the Bismarck of Modern India, who led the welfare of farmers. Rightly known as the architect of independent India. He united all diverse 562 princely states to build the one great Republic of India. Hence, on the occasion of his birth anniversary on 31st October a “Run for Unity” was organized. Marking this as Rashtriya Ekta Diwas. Commemorating the same, students of IPER Campus participated in the Run for Unity in the Bhopal Campus premises. Firstly, a political and social leader of India throughout his life, and popularly known as “Sardar” which means leader, Vallabh Bhai Patel was born on 31st October 1875 in Nadiad town, Gujarat. A successful lawer who got his inspiration from Mahatma Gandhi. Secondly, he played a big role in the Quit India Movement, and later became the Home Minister and Deputy Prime Minister in free India. Above all, the most challenging task he took as the Home Minister was of forging a united India. Bringing together 565 semi-autonomous princely states and British-era colonial provinces.Therefore, the determination and approach to every task he took up in his life gave him a title of Iron Man of India. Read more about Sardar Vallabhbhai Patel and the Statue of Unity by clicking here. Every year on 31st October, the celebration of Birth Anniversary of Sardar Patel takes place. This year on 31st October 2018, the day had significant importance as the worlds tallest statue, the 182 Mts tall Statue of Unity was dedicated to the Nation by the Prime Minister of India. Likewise, the students of IPER took a “National Unity Day” Pledge along with their faculties at the IPER Campus Auditorium. 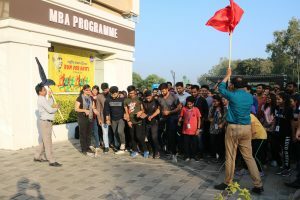 After the pledge ceremony, students participated in a Run for Unity event organized in the Campus. All the students of various management courses at IPER participated in the event.